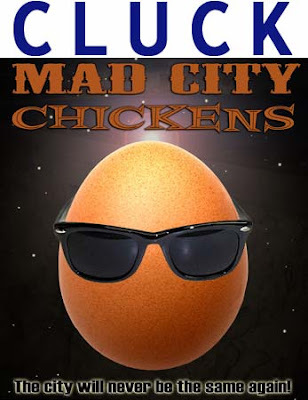 A CLUCK fundraiser and rally of support for the legal challenge to the City of Calgary Bylaw denying citizens a Right to Food by raising Urban Chickens. The legal challenge involves 4 levels of government, and includes a defence of the United Nations Human Rights Declaration. It is the first and only defence of the 62 year old UN HRD in Alberta's history based on Article 25. The decision will impact all Canadians and will establish a nationwide precedent for Urban Agriculture. Two Calgarians have been charged with Possession of Chickens. This is an illegal bylaw and urban farmers are not outlaws or criminals. Raising and growing food is a Human Right and a lawful act.